OKC Outdoor Kitchens – We bring top quality contractors to your door! Isn’t it time for that outdoor kitchen you’ve been dreaming of? 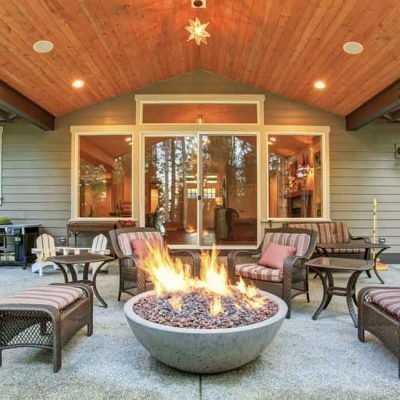 How about a cozy outdoor fireplace or firepit? 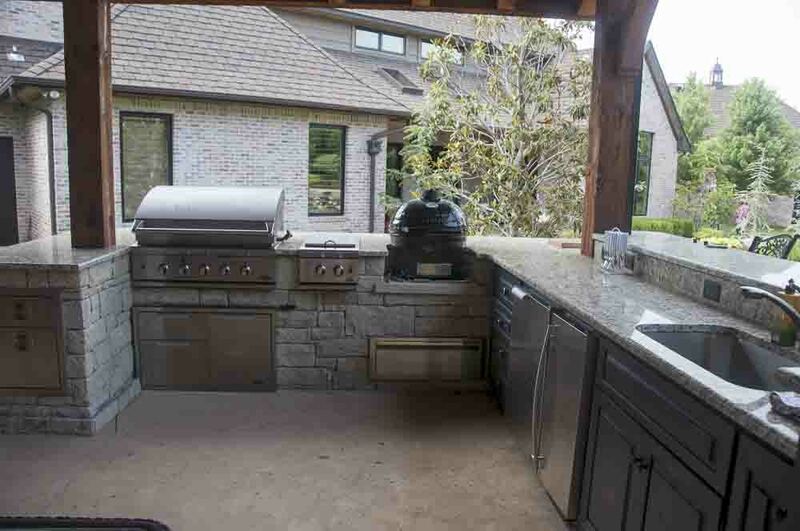 Let OKC Outdoor Kitchens connect you with expert contractors to turn your backyard into your own personal retreat. Call us today to find out how we can save you money and time! Many Oklahoma homeowners dream of an outdoor cooking environment that will fit their needs and desires, and for good reason. Outdoor kitchens provide the ultimate space to entertain, cook and relax. From small patios, to large outdoor spaces, your kitchen can be customized for space availability, design aesthetics, function and budget. Very often, outdoor kitchens are built alongside pergolas or pavilions for maximum comfort and protection from the weather. 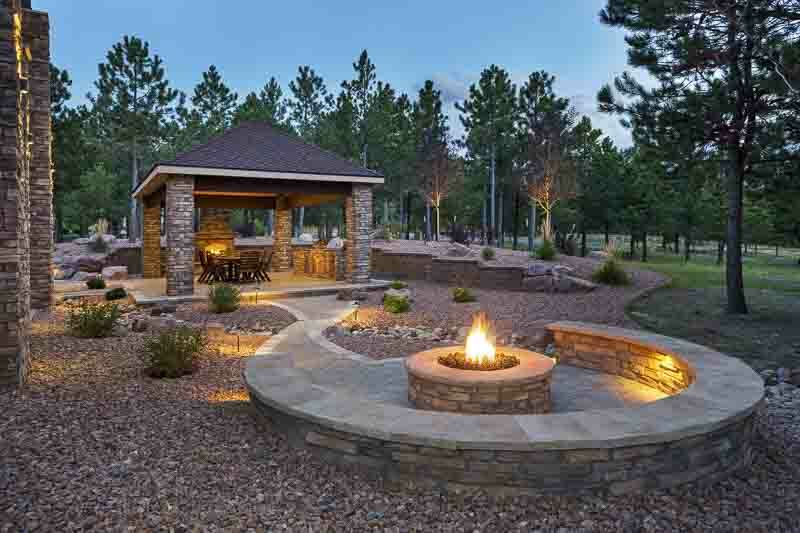 An outdoor fire pit is the new ‘must have’ accessory for any Oklahoma backyards. 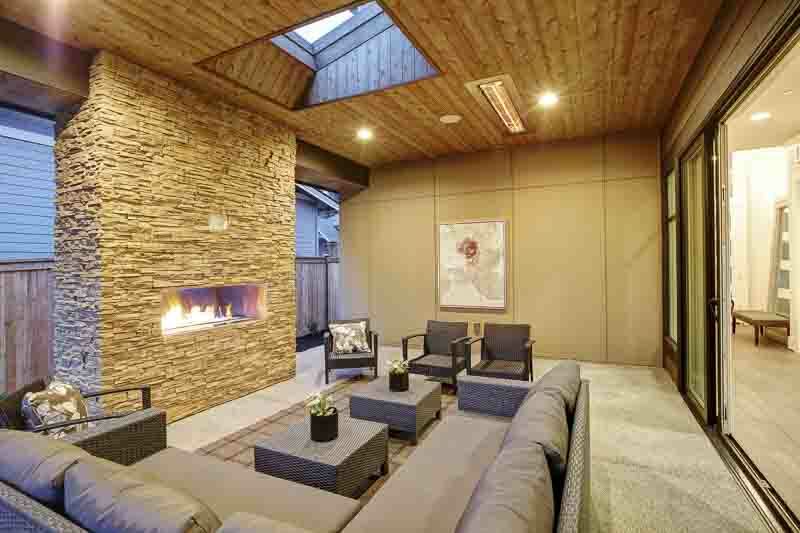 Fun and functional, it centers the outdoor living area as a warm, conversational piece. 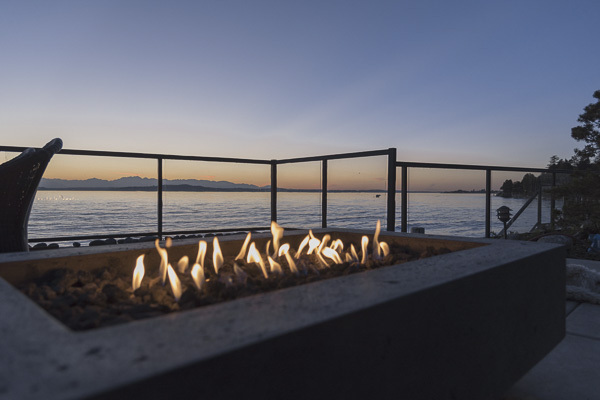 Individually built fire pits are available in wood burning, propane, or natural gas with manual or electric ignition. They can be constructed from stone, brick or stainless steel and all are created to your individual specifications. 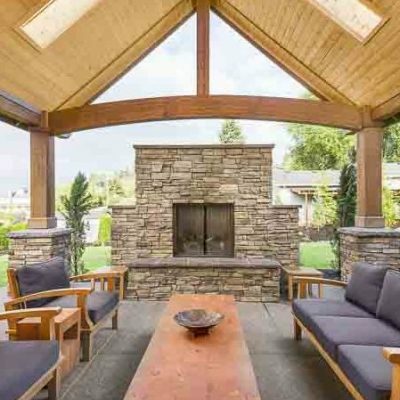 Outdoor fireplaces provide the ultimate in relaxation and enjoyment. After all, who doesn’t love a good s’more? Fortunately, design options are endless with materials ranging from stacked stone, to brick, and wood burning or gas burning. Your contractor will work with you to achieve the finest in fireplace design. 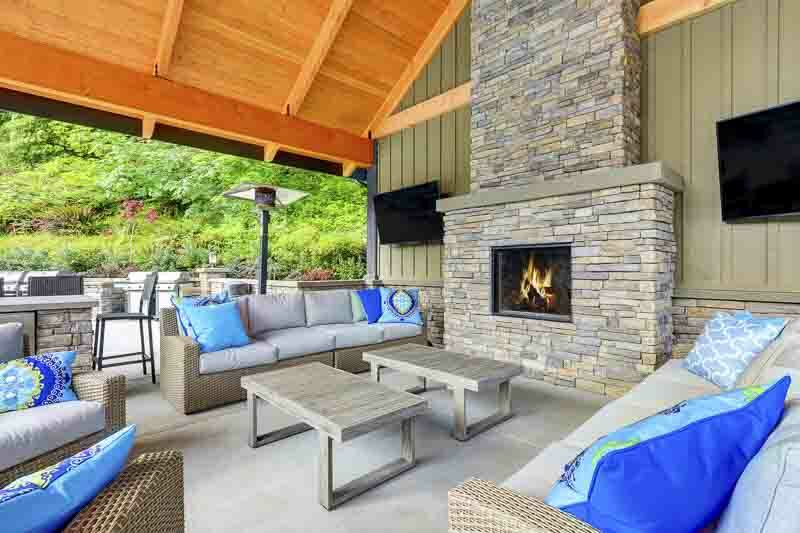 Isn’t it time to increase the value and enjoyment of your outdoor space with an outdoor fireplace? 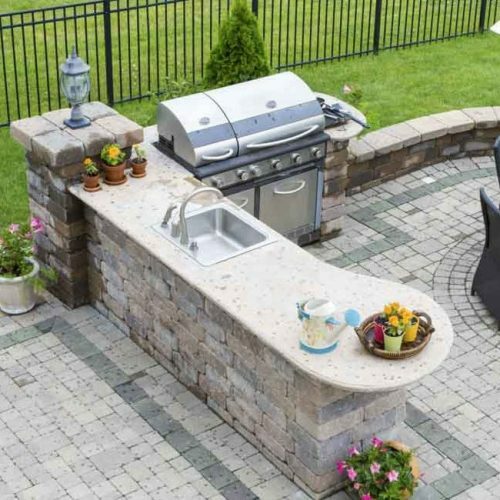 Dreaming of an outdoor kitchen? Let OKC Outdoor Kitchens transform your back patio into a chef’s paradise! Entertain your family and friends in style with a custom designed, outdoor kitchen. 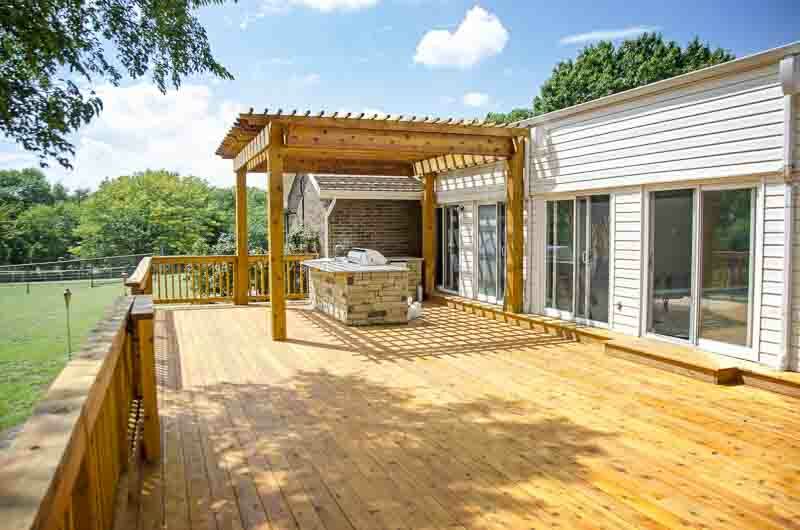 Options such as; built-in gas grill, refrigerator, sink, wine cooler, or pizza oven can shape your outdoor kitchen into a functional and stylish living space. Grill your favorite dishes, sip a glass of wine, and relax in your very own outdoor paradise.